Cable TV Digitization roll out continues in India, with the second phase covering 30 more cities. If you don't really want to continue with services from the local cable operator, which DTH operator should you shift to? We try to answer the question. After the second phase of cable TV digitization has now been implemented, it is a surprise at the cacophony of outcry from the cable operators and the consumers alike. If you had not been following this development over time, you would assume this was a knee jerk reaction from the government. But it is not, which is what makes the outcry from the cable operators even more undignified than it would in normal circumstances. As for the consumers who feign ignorance, the constant appeals and communication from the government’s side via print and TV adverts cannot be discounted. The cable operators, both the local area ones, and the bigger fish who go by the name of MSOs (Multi System Operators) claim that there are not enough set top boxes to go around. The consumers want an explanation as to why they have to pay extra for a set top box they never wanted. And that the local cable operators are charging them a premium for the same product. If all this clamour is a bit too much for you to deal with, we suggest shifting to a Direct to Home (DTH) service. The unique selling point for this service, at least according to us – you will not have to deal with the cable operators, or bow down to their whims and fancies anymore. But, which is the best one to buy? We attempt to answer the question. For starters, you will not have to deal with the local cable operators and their own brand of management. While the digitization will solve issues related to audio and video quality that plagued the service till now, we do not know how proficient the service representatives will be in the local area to fix a fault. What if the set top box develops a fault? Will the cable operator be able to give you a replacement unit? Considering they are cribbing about serious shortage and one of the reasons why they claim digitization will not be successful, we highly doubt that. In a nutshell, that will be money locked up, for the time being. Second, and we don’t know how often they may be able to do this on digital networks, is the constant shuffling that cable operators used to do to move channels between “prime locations” and the “end of the ladder”. One saving grace is that digital cable networks like DEN have a fixed channel location. There is hope. Third is the issue of packages and the charges for the same. The government has given its own guidance on the base package, but any packages above that and the particular channels that are included in that are up to the operators’ discretion. Again, you may not be happy with what you get later, considering there is little clarity on the same. To begin with TRAI has mandated that all Multi Service Operators (MSOs) carry a minimum of 200 channels from the beginning. This number has to be bumped up to 500 channels by 2013. Also, subscribers will have to be offered 100 free-to-air channels as a basic pack – Basic Service Tier, if they wish to subscribe to that, at a minimum of Rs. 100, carrying all 18 Doordarshan channels and five channels of each genre – news, sports, infotainment, music, lifestyle, movies and general entertainment. Which DTH service to buy? This is the oldest running DTH service in India, and despite very aggressive competition over the last few years, has still kept its place in the industry. Dish TV is still leading in the total subscriber base in the country, and has the second highest number of channels available on the platform. High pitched advertising at their end has kept them in the game very much. 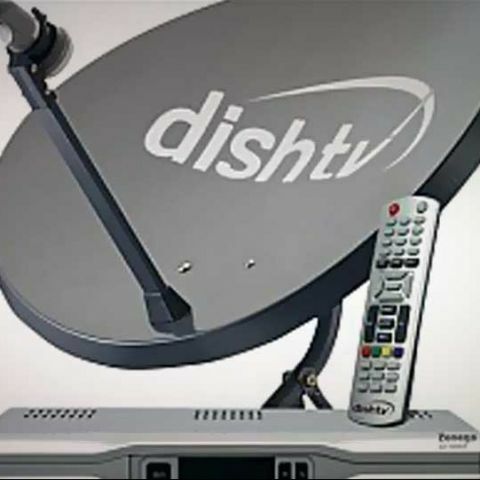 Why buy Dish TV: Dish TV has almost all the popular Hindi general entertainment channels on board, with most available in HD as well. The closeness to the Zee group means all the Zee channels are on board, SD and HD. Upscaled HD is something that doesn’t impress us much, but consumers do prefer the slightly better quality. The unlimited recording feature is activated on all SD and HD boxes via the USB port, letting you record on your own external hard drive. Why not to buy Dish TV: Not all is rosy for Dish TV though. The poor relations with Star TV means that while all the Star TV’s popular channels are available in the SD version, there is no HD version of Star Plus, Star Gold, Star Movies, Star World or the sports channels – ESPN HD and Star HD. The user interface needs a major overhaul, and channel placement is haphazard, at best. The first rival for Dish TV launched services in India sometime in 2006. Since then, Tata Sky has almost become synonymous for the term DTH. Much like Xerox became the identifier for the good old photocopier! Why buy Tata Sky: The quality of hardware is pretty much unmatched, for the outdoor unit, the set top box and the remote. The on screen UI is something that Airtel also adopted for their DTH service sometime last year. The packages are clearly defined, with little chance of confusion. Additional bonus features like free Showcase movies and free service visits if you subscribe to one of their semi-annual or annual payment packages. Contrary to claims made by various stake-holders, MPEG-2 is not at all inferior to the MPEG-4 technology, in terms of picture quality, which is why Tata Sky has not made the shift. The Tata Sky branding on each channel is small and transparent enough to not interfere with the viewing experience. Why not to buy Tata Sky: Transponder space problem is something that has been bothering Tata Sky for quite some time now. Which is why they have been slow in adding channels of late, until they get additional capacity. Packages are priced on the higher side, considering the lesser channels they are carrying on the platform. The new policy of the HD access fees and having to compulsorily subscribe to the SD version of the channel to get the HD version is detrimental to the motive of keeping monthly subscription cost down. Airtel’s DTH package also has a fair amount of premium feel to it, appreciably more than most of the rivals, and pretty close to Tata Sky. Without making too much noise, Airtel Digital TV has gained fairly good penetration levels in metros as well as non-metro cities. Not the first name to pop into your head when you first consider buying a DTH connection, but the simple packages and a whole host of top-ups allow for greater customization. Why buy Airtel Digital TV: The major advantage of buying the Airtel Digital TV connection is that you primarily get a remote that also acts as a universal remote to control your TV power on/off and source change. Minor bonus, you may say, but very useful. Secondly, the picture quality and colour richness on the HD channels is much better than any other DTH we have used on the same TV with the exact same picture adjustments. Some SD channels also look better in terms of clarity and crispness. Why avoid Airtel Digital TV: The removal of ESPN HD and Star Cricket HD from the platform is a huge setback, and would put off a lot of existing users and potential new customers, who are sports fans. Weirdly, Airtel Digital TV exclusively has the Star Sports 2 channel on the platform, which makes this blow-hot-blow-cold relationship slightly confusing. The on-screen logo on all channels is a tad too big and intrusive, and needs to be reworked urgently. The HD DVR does not have a cooling fan, something that may not be the best setup during the great Indian summers! Over the last year or so, Videocon d2h has been leading the way in terms of channel additions, and was the first DTH to cross the 20 HD channels mark. Has the highest number of SD channels as well, something that is helped by the relatively less expensive monthly channel packs, when compared to Tata Sky, Airtel and Dish TV. Why buy Videocon d2h: The channel line-up is impressive, and if you are the proverbial couch potato, this is the DTH that will keep you happy for the most part. Maximum real HD channels on the platform, covering all the important channels across genres. The cost of packages is slightly lesser than the main rivals, and a direct comparison shows that it also packs in more channels for the same money. Why avoid Videocon d2h: There are some major issues with the user interface – sluggish, non-intuitive and tends to freeze up more often than not. The HD DVR has some serious reliability issues, and niggles like channel not changing when you want it to. For all the extra channels, these annoyances are something that may not be what a lot of people may appreciate. The branding logo on each channel is also very intrusive. After a solid start, Reliance has fallen behind in the DTH race. The company has been slow in adding new channels. Among all the stores that we have checked out, hardly any of them were selling or recommending the Reliance Digital TV DTH connection. We surely hope that they can bounce back in the game fairly soon. Why buy Reliance Digital TV: While all DTH operators offer the HD services, they are carrying channels in the 1080i resolution. Only Reliance Digital TV broadcasts with the 1080p resolution. All channels on the platform are upscaled HD, which is a minor upgrade over the SD quality, but something to keep the consumers happy. Why avoid Reliance Digital TV: First up, there are hardly any stores, multi-chain or the local area ones, who have stocks of set top boxes for Reliance Digital TV. This is anyway a bit of a red flag if you are buying a new DTH connection. The addition of new channels on the platform has been happening very slowly over the last year or so. This is one DTH service that always was, still is, and will be, the perfect connection to buy if you live in South India, or a South Indian living anywhere in India. No other DTH operator has been able to offer the sheer variety that Sun Direct is able to, in HD and SD, for regional channels. If however, you do not watch South Indian entertainment channels, then the channel line-up can be fairly disappointing. Why buy Sun Direct: Like we said, Sun Direct is your best bet for all channels that target the South Indian audiences. The focus is regional, and this is the only operator to thrive while doing so. It also features good channel packages. Incidentally, Sun Direct can be credited for bringing in the HD craze, by beaming one of the earlier editions of IPL in HD, for the first time. It has unfortunately fallen slightly behind in that regard since. Why avoid Sun Direct: Will not be the preferred DTH operator for the rest of the country, because of the unattractive Rest of India channel line-up and packages. It has fallen behind in the HD channel race, which is a huge surprise. Plus, lack of focus on the other parts of India could mean service might be a bit of an issue in case something goes wrong with the hardware at your end. There is no real consistency in terms of which operator offers what channels. None of the operators will offer all the channels that you want to see. The smart decision would be to pick up the one that offers most of the channels that you watch, and grin and bear it! We have done a channel by channel comparison of the popular channels across all DTH operators, to give you an idea of where your favourite channels are. HD Channels: Which DTH misses out on the High Def fun? Sports channels: Which one impresses the sports fans? English movie channels: Which one will the movie buffs prefer? Which hard disk to choose ? Which laptop should i buy and why? which tab i should buy and why?